In corn as well as in wheat, we recommend the same biostimulant: CropBooster® 2.0. 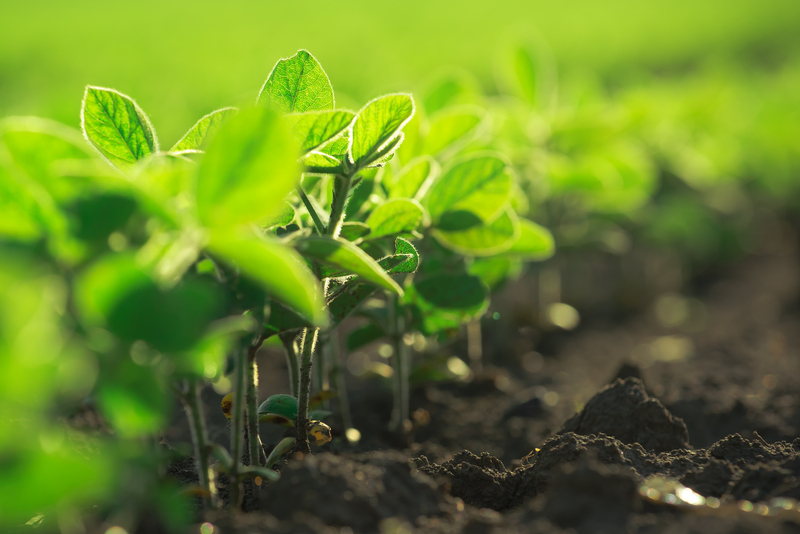 For soybeans, we developed a specific biostimulant : RR SoyBooster® 2.0. Why? The answer relates to plant metabolism. When the biostimulant is applied with the post-emergence herbicide mix, the plant is preparing to bloom. This development stage is very energy intensive and phosphorus plays an important role in regards to energy. Therefore RR SoyBooster® 2.0 has a 18 % phosphorus content as compared to 3 % for CropBooster® 2.0. By contrast, RR SoyBooster® 2.0 contains 6 % nitrogen while CropBooster® 2.0 rates 15 %. It’s because crops like corn and wheat are still at the vegetative stage at application time and hence have higher nitrogen needs. There is another notable difference between the two biostimulants «recipes» : cobalt is added to RR SoyBooster® 2.0. This micronutrient plays an important role in nodulation, that is the development of the symbiotic relationship between nitrogen-fixing bacteria and the plant. As for other micronutrients (zinc, bore, manganese, molybdene), both biostimulants have a similar content. They both contain the 2.0 Technology. All these compounds contribute to optimize the plant metabolism and overcome stresses caused by abiotic factors such as a drought or herbicide application. 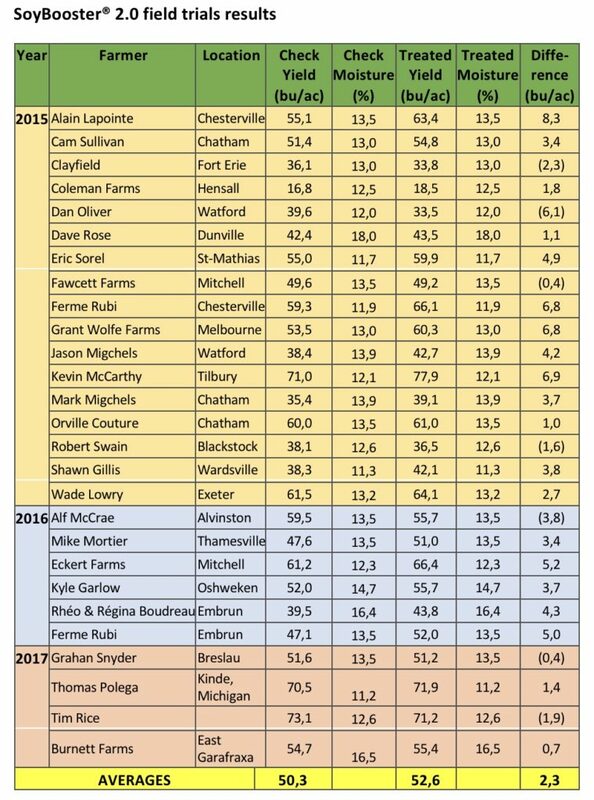 The table below give the complete field trials results for RR SoyBooster® 2.0.